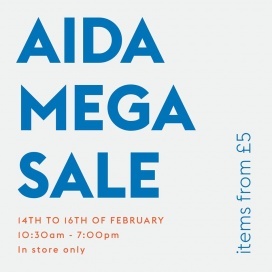 Shop for men and women's apparel and accessories at reduced prices at the AIDA Mega Sale. The Sale will be comprised of past season, current, and one-off items. 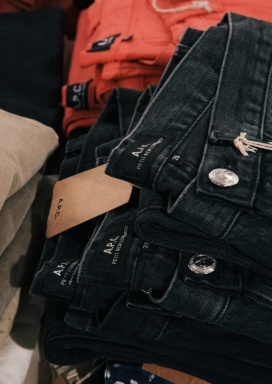 Brands included are Pyrus, Levi's, Eleven Paris, VEJA, SELECTED, and Samsøe & Samsøe. 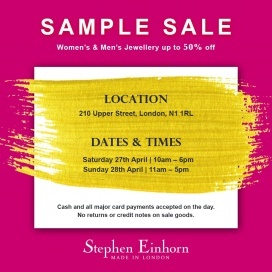 Take up to 80% off previous season collections at this one day sample sale from luxury swim and sleepwear brand Asceno near Ladbroke Grove! For one weekend only, Anthropologie will take over our ballroom with a huge selection of homeware, fashion and accessories, all with up to 70% off. We'll be showcasing beautiful pieces from the Anthropologie archive, designed for the creative, worldly woman! Runway Muse X The Designer sale will be featuring the finest selection of pre-owned and new designer handbags and accessories for 20% to 50% off retail prices. Drop an email to runwaymuse@hotmail.com to RSVP for the full address and entry fee is £1.00. Please note that all cards are accepted and cash.All sales are final and no refund or exchange. For the first time ever, members only online shopping retailer, Secret Sales, will be offering their amazing discounts on designer brands in the Showcase flagship store with discounts of up to 70% RRP! 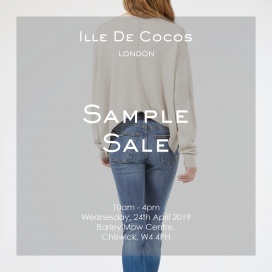 Visit our sale for an irresistible range of on-trend clothing and accessories from amazing brands such as the likes of Anya Hindmarch, Coach & Valentino. Take 50% to 60% discount on clocks and watches at the Instrmnt Sample Sale. The Sale will be comprised of samples and slightly used items. 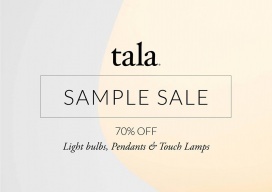 Take up to 70% discount on pendants, touch lamps, and light bulbs at the Tala Sample Sale. Our famous Paul Smith Warehouse Sale returns in March offering the best of British with up to 70% off clothing and accessories from the Paul Smith archive! Update your spring wardrobe with designer pieces at a bargain price. 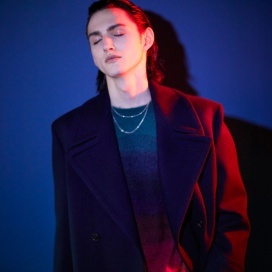 Join us for an end of season sale of modern menswear Includes tailoring, outerwear, knitwear and more! 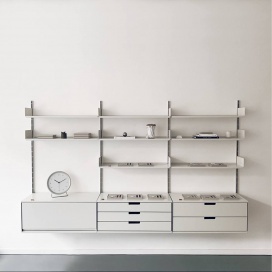 London concept store S120 is having a sample sale. Shop clothing, shoes, accessories and homeware up to 80% off from independent and emerging brands. 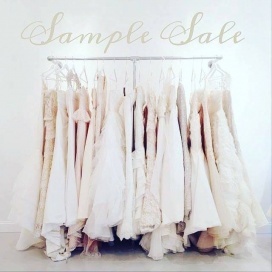 Take up to 70% discount on wedding dresses at the Belle Bridal Sample Sale. Sizes are UK6 to UK26. Email contact@bellebridal.co.uk to book an appointment. 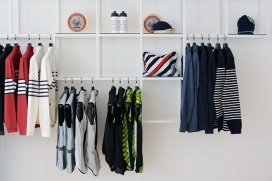 Take up to 80% discount on men and women's apparel and accessories at the Café du Cycliste Sample Sale. Shop for socks for men at reduced prices at the London Sock Company Sample Sale. Take up to 85% discount on women's apparel and accessories at the Karen Millen Warehouse Sale.